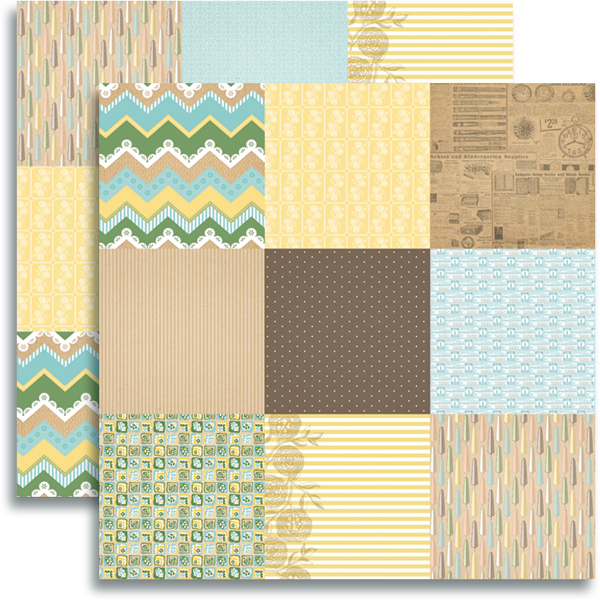 I love the smaller scaled patterns. Plus I LOVE having them all on one sheet that I can cut out. It is so much easier to store. I had already used a fair bit of this sheet of paper and decided to use it all up. I think it is a much better idea than hoarding. I used up my scraps of this by punching the whole thing up with a star punch. 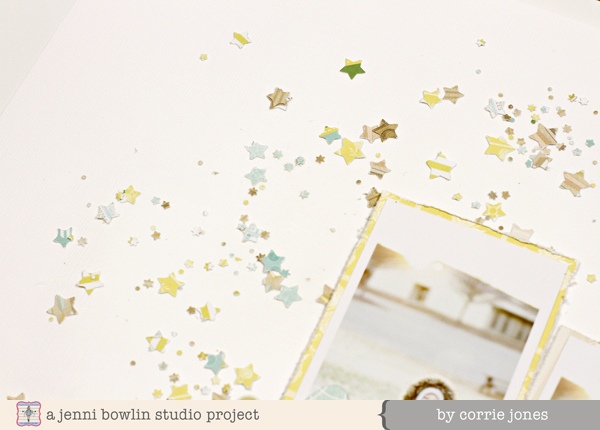 I had little star confetti everywhere! This is happy stuff. I love how the colors of the papers were perfect matches to the colors in my photos. Just soft and beautiful. 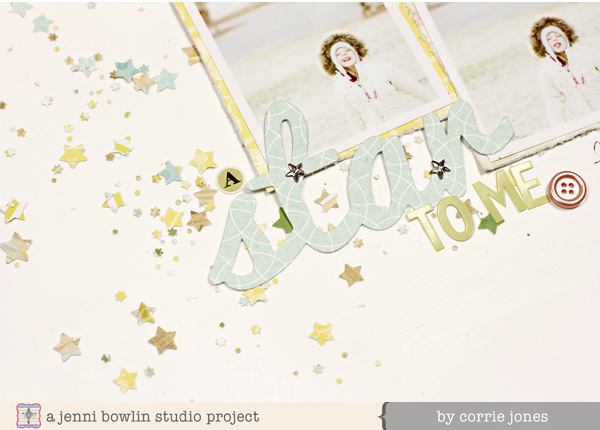 I cut the word star out on my Cameo from a full sized sheet of Modern Mercantile paper and was pleased that the different Jenni Bowlin letter stickers also matched. 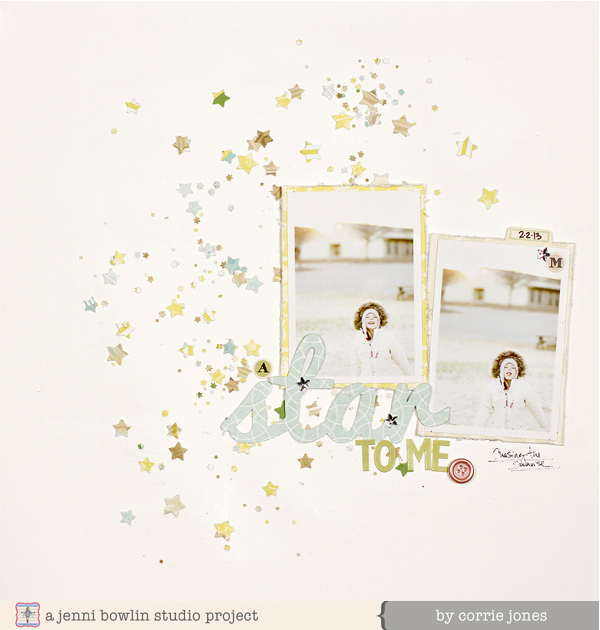 This new line is so great! I hope you get your hands on some of it soon!